Wanting to get in on the positive buzz surrounding the Amazon Echo, Google is reportedly building its own smart home device. Google is quietly working on a competitor to the Amazon Echo, a wireless speaker controlled by voice command, according to a report in The Information. Google has not replied to a request for comment. The Echo, which has proven to be a popular and well-reviewed product for Amazon, plays music and podcasts, sets alarms and to-do lists, and offers weather and traffic reports on demand. Google, which dominates the online search market and owns the popular Android platform, has the pieces necessary to put together its own version of Echo, according to industry analysts. And, they say, it would be a smart move for the company. 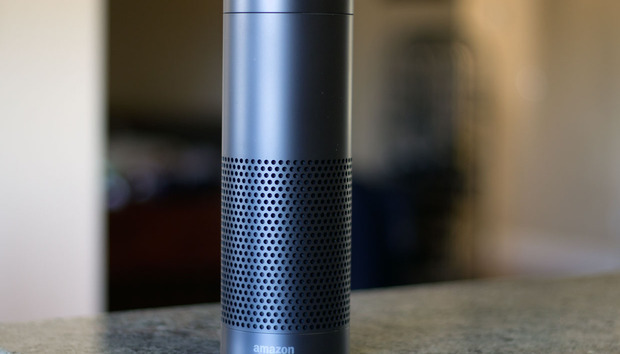 "Google has all the capabilities that Amazon Echo has," said Patrick Moorhead, an analyst with Moor Insights & Strategy. However, Google's been focused on smartphones and tablets right now. "I believe Google will build a plugged-in device that does what Echo can do -- and more," Moorhead added. Ezra Gottheil, an analyst with Technology Business Research, noted that while it makes sense for mobile device users to be able to control their systems by voice, it also makes sense to do the same with home devices. "Why not be able to do that when your hands are full of food or baby or puppy?" he asked. "Whatever Google builds will have to be better than Echo, but I don't think that will be hard. Google's current voice-based product, Google Voice Search, is available in a bunch of languages, while Echo is English-only. Echo does interface with Gmail but I would be surprised if Google can't come up with deeper integration." While Gottheil said it wouldn't actually hurt Google to not have an Echo-like product for a while, launching one would contribute to the company's core business. "With Echo you can search using [Microsoft's] Bing," he noted. "Presumably, the Google device would have an interface to Google search, and perhaps Google can drive better integration, making voice search with voice output more powerful." The device, working inside people's homes, also would give Google a lot more information about their users. "Google's business driver, advertising, requires them to be everywhere the consumer is and intercept every piece of data from them," said Moorhead. "With an "always-on" device in the home, Google could know how many people are in the house, their age, gender and what they watch on TV, and the music they listen to." Moorhead said he owns an Echo but right now it's not even plugged in and running. He would, though, consider buying a Google device if it offered more than Echo does. "It would need to support all of the home automation equipment I have from different vendors," he said. "They would also need to demonstrate to me how they will keep my data and what it knows about me secure. Finally, they would need to improve their natural language approach to be more like Google Now or Apple's Siri."